In general users want to insert a report inside another report to simulate a master-detail relation. To NextReports this means to insert a report inside the detail band of the master report, communication being done through a simple convention: the sub-report must have a parameter with the same name as a column from the master query. This natural way (vertically data scaling) translates to generate a sub-report for every result from our query.You can read more about it here. There are some situations when users want to scale their data horizontally and not vertically as in a master-detail form. Your query can become from too complicated to nearly impossible in achieving such thing. To make it easily possible, NextReports 6.1 introduced a new type of element inside report layout: Multiple Report. 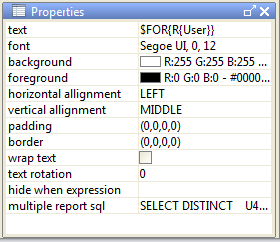 Multiple Report element (FOR) contains a report with a special property: "multiple report sql" (FOR-SQL). The report must have a parameter with the same name as the column from FOR-SQL. At run time, this FOR element is replaced with a number of report elements. This number is the number of values returned by the FOR-SQL. A value from FOR-SQL will be passed to corresponding report's parameter. To make it more clear, lets look at a simple example. 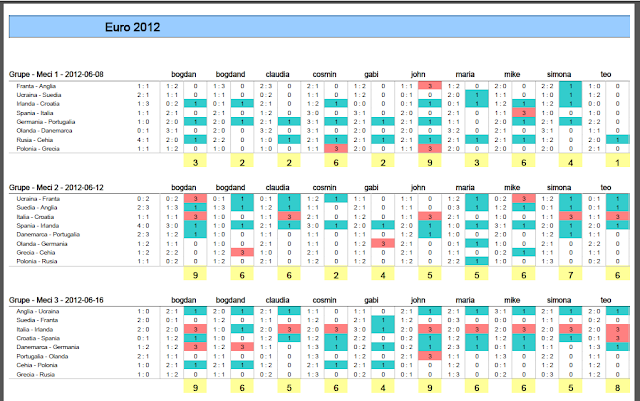 We have a simple database with scores from EURO 2012 tournament. These scores are grouped on stages like Group First Game, Group Second Game, Group Third Game and so on until the Final. Inside database there are also kept the scores entered by some users. 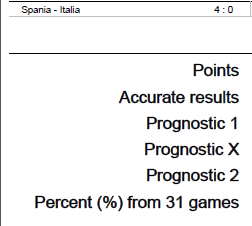 Any user guessed the result exactly, guessed just the prognostic 1/X/2 or did not guess anything and was rewarded with 3 points, 1 point, 0 points respectively. We want a report to show all the results as they happened and all the results entered by users with the rewarded points. We also want for every user to compute the total number of rewarded points per stage and per entire tournament along with some other statistics. Second report also has a user parameter allowing us to run it for every user. When you notice that you need a "Multiple Report" for your design, it is always easier (especially if you have a lot of rows) to create at first a single report which will show everything just for a single entity (user in our case). 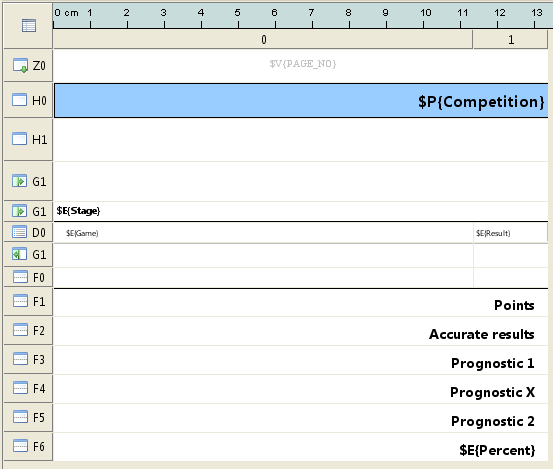 Then you should cut it in two reports (left and right parts) and create the new report as showing before. In this way you are sure that all rows from the split parts have the same fonts and padding, so when you run the master report there will be no vertical shifts.